Now that we’re well into the new year, we thought it would be nice to do a quick audit of some of the top logo design trends making their mark on the web. Like seasons and styles, popular logo designs evolve over time. Color is periodically at the trendsetting forefront; in other years, shape takes the lead. And, like a vintage handbag or a mature wine, the logo designs that dominate often recall older trends in their novelty. As you think about designing your own logo, remember: Some logos are timeless, while others need to make subtle changes to keep up with consumer demands. While it’s true that making a unique logo can help your brand stand out, you don’t want to dip into a logo design that will later be accused of being outdated – because it will send your audience the message that your business, too, is past its prime. 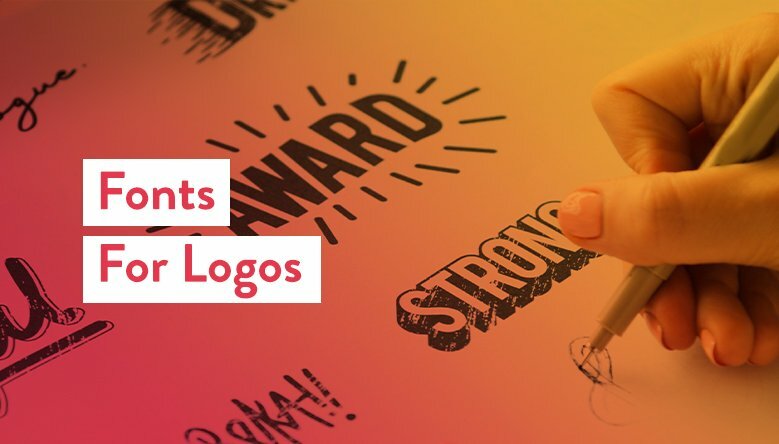 So, in the spirit of creating a logo that can keep up with its competition, or even just for some plain old design inspiration, here are the logo design trends taking 2019 by storm. Elevated negative space capitalizes on a similar concept to the pink elephant paradox. Person one: Don’t think of a pink elephant. Person two: Shoot! I wasn’t thinking of a pink elephant before, but one popped into my mind right when I tried not to think about it. In other words, our brains pay attention to things that are absent just as much as to things that are present. Negative space shows how this effect plays out; when you take something away from an image, your mind automatically works to fill in the blanks. As a result, what’s missing from the space actually comes to the forefront of your mind – making it an aspect of your logo that stands out even more prominently. Like with optical illusions, negative space allows you to depict 2 things simultaneously in your logo, even if they would normally not seem like a cohesive pair. The bear in the above logo, for example, is holding a coffee cup – accurately and lovingly representing the comfort of the Fat Bear brand of coffee. Notable brands that use negative space effectively: Toblerone, FedEx, and Levi’s. This trend is all about becoming bold with basics. Where traditional logos have used shapes in their most rigid, structured forms, we’ve been seeing a movement on the logo design front that will tear this tradition down – for the better. In an interesting departure from 2018 minimalism, simple geometric shapes are now being paired with fun color palettes to create an overall friendly appearance. Layering jagged shapes, like in The Flower Shop logo above, makes for a clean but modern logo design. You can also use more traditional shape orientations with a dynamic color palette to add a personal touch to your contemporary-looking logo. Taking a move out of the Starbucks playbook, modern logos are starting to adapt more intricately-detailed designs. Apparently, the coffee chain was a trendsetter in more ways than one (does that come as a surprise to anyone?) Although their siren emblem has sported layers of rippling lines for decades, they were one of the only companies to get away with it. The band manages to convey movement and sound within the spirals of the pegasus in this timeless logo. Aside from looking “artsy” and innovative, detailed logos allow you to send a more inclusive message to your audience. We’ve spoken about the role color plays in logo design before, and we’ve emphasized that each color combination comes with its own psychological implications and brand messaging. The intention behind your color choice can make or break a logo’s effectiveness, as colors are largely what communicate your brand message to your audience. In the B Cosmetics logo above, for example, the color palette gives the logo a friendly, trustworthy, and perhaps feminine energy. Of course, it doesn’t hurt that the contrast between the red and blue hues makes the logo infinitely cleaner and more noticeable! If you’re familiar with dynamic logos, then you’ll get a kick out of this trend. Similar in concept, variable logo design lets your logo appeal to a wide range of audiences, by changing its appearance in varying contexts to cater to different groups of people. You can change your logo in all sorts of ways, from just modifying the color on different products to adding movement to all of its digital representations. If you want to try your hand at variable logo design, the changes you make to each version of your logo should have one goal in mind: Strengthening a personal connection with different groups of customers. From negative space to positive color, there are many exciting designs to try on your logo and give it a fresh look for the new year. Which of these trends do you think will last past 2019?